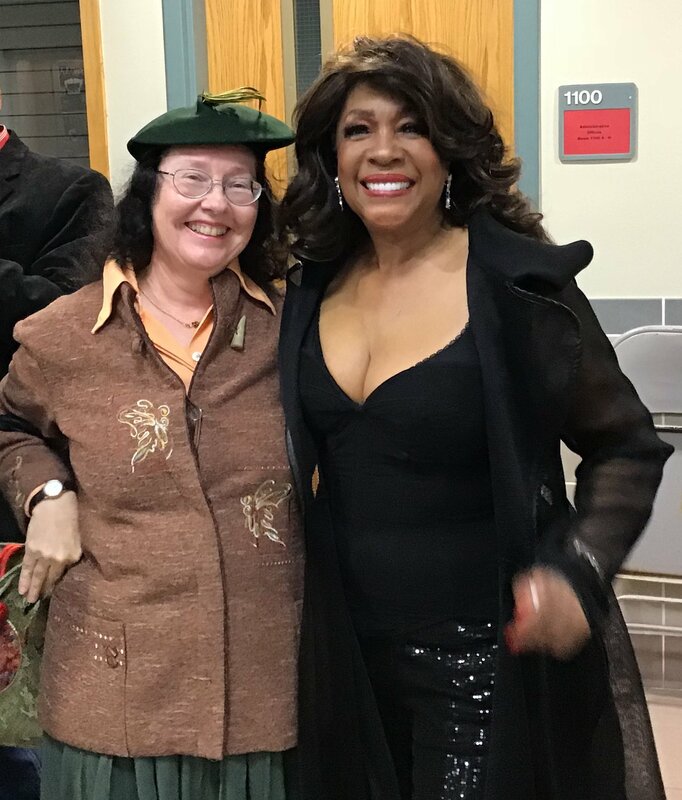 On Sunday, September 30, Yang and I had the exciting pleasure of seeing a Motown double feature: Martha Reeves and Mary Wilson at the Barnstable Performing Arts Center. What a nice way to start the Fall season. 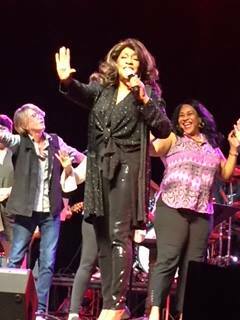 Martha and the Vandellas kicked off the first half of the show, with Martha’s sisters Delphine and Lois as her Vandellas. Lois, as Motown friends will remember, was one of the Vandellas from 1968 until the group disbanded and Martha went solo. Martha has energy to spare and a feisty sense of humor, so we all got down and enjoyed her group’s review of old favorites and renditions of gospel and other soul tunes. 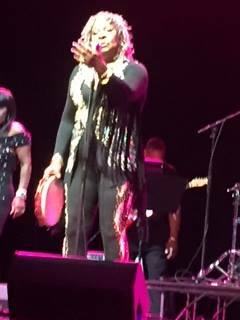 The lady can put on a show, as can her Vandellas. We weren’t close enough to the stage to get any good shots of the performance, so my good friend Tom Ingrassia allowed me to borrow a few of the photos that he took. The ones of Mary Wilson on stage also come from Tom. 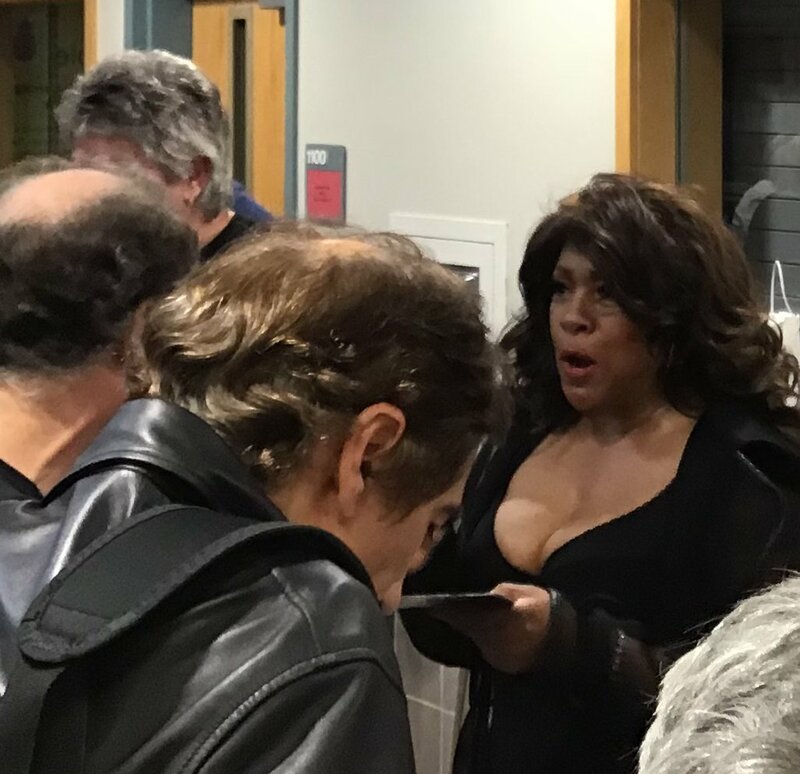 Mary Wilson was our rockin’ lady for the second half of the program. Mary does two types of shows: Up Close and Personal, which is a perfection of blues, jazz, and pop given a bluesy, jazzy twist (check my earlier blog) and her straight out, soulful rockin’ the night away. We had the latter this afternoon. 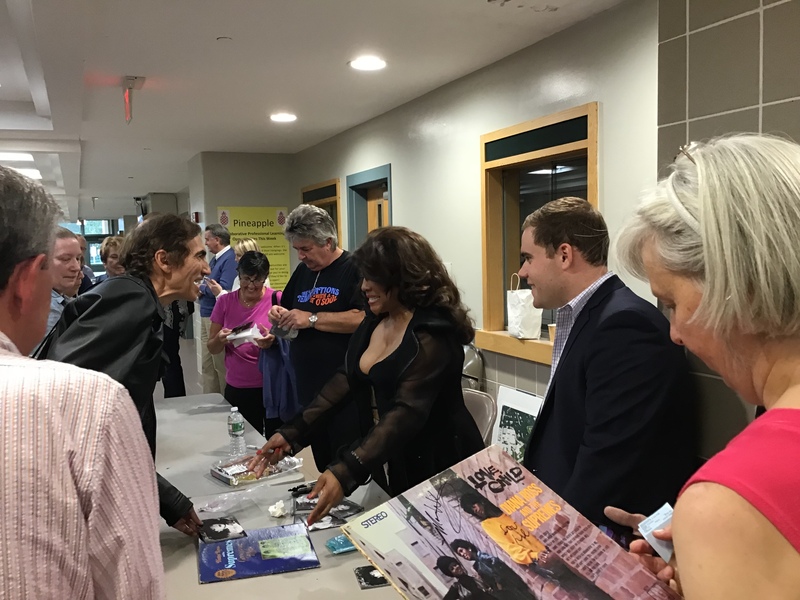 Mary ripped through some rock standards like “Satisfaction” and “Brown Sugar,” gave soulful stylings to Supremes’ hits, and delivered with powerful feeling on “And I Am Telling You” and “Imagine,” to name a few. 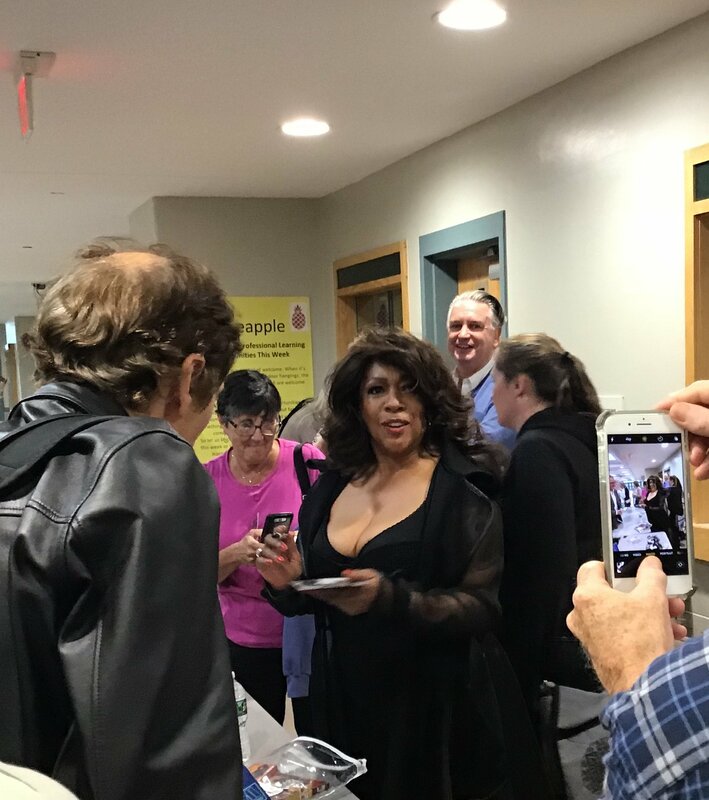 Then there was the playful medley of Supremes’ hits where audience members had the chance to become honorary Supremes and back up Mary – with all the right moves for the songs. Unfortunately, I was boxed into my seat and couldn’t make it up to the stage, but my friend Barbara Ingrassia did and out-Cindied, out-Maryed, and out-Floed everyone. Her husband Tom Ingrassia has a YouTube video from Mary’s Laconia concert where we can see our Barbara get down. In fact Mary gestures a “J’Accuse” to Barb in “Stop! In the Name of Love” when Mary sings that she sees her boyfriend “walk down the street/Knowing [his] other love [he]’ll meet”! Click here for a link to the video of that exciting moment! Barb is rockin’ the turquoise shawl! 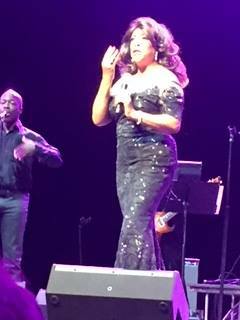 I just have to say that Mary Wilson has extraordinary vocal power and control. She puts great feeling into her singing, deftly wielding her voice to move from softness to strength as the emotions shift in her song. Her abilities have only improved over the years. Martha was not there to meet after the show. However,Mary was there to greet her fans. So I gladly joined the line for an autograph and a quick chat. I have to say that Mary is most gracious and fun! She is so lively and genuinely happy to chat with you. She takes a real interest in what people have to say and her friendliness is infectious. She also clearly has loads of old friends who have either worked with her or are fans who have become friends through the years -as you can get a hint from the pictures below. 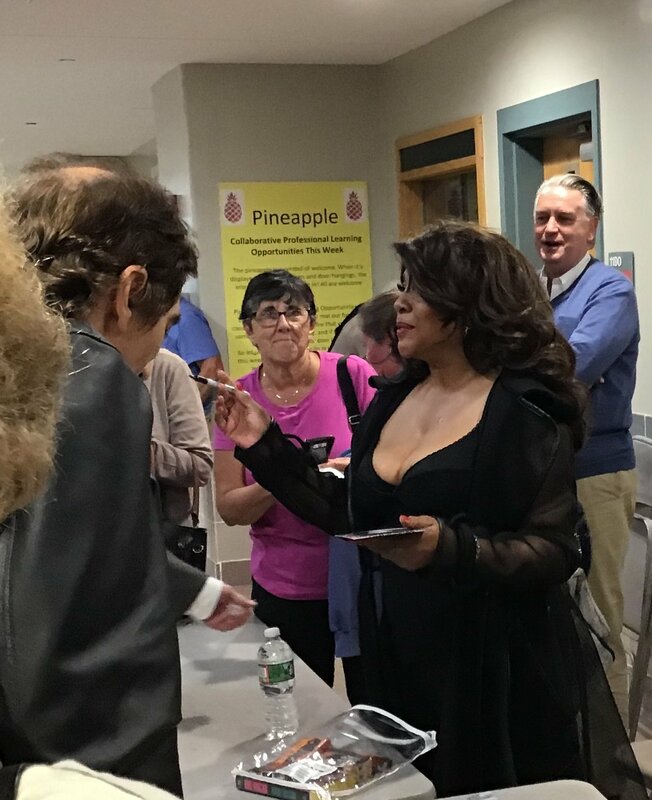 I also had my turn to shake Mary’s hand and then let her know how much I enjoyed her concert. I can’t remember exactly what we talked about, but looks as if we made each other chuckle. Then there was the opportunity for our shot posed together. Mr. Yang, we’re ready for our close up!